Every person wants to have a bright smile. A bright and confident smile can be one of your most powerful and valuable assets, in both social and professional situations. Having a bright smile also shows good oral health. Several things can destroy your smile, and one of the most prominent is having missing teeth. Teeth are important to us, not just for smiling but they help us chew food, speak properly, and they uphold the integrity of our facial features. Due to the important role performed by teeth in our body, people with missing teeth are looking for tooth replacement options that will suit them. Thankfully, with today’s advancement in technology, patients with missing teeth can choose from several tooth replacement options. In this article, we will review dental implants versus dentures, as tooth replacement options so that you can choose what’s best for you. Also known as false teeth, dentures are prosthetic devices created to replace missing teeth. They are usually custom-made so that they can match the patient’s mouth structure and form. Made of acrylic, a plastic base, and porcelain teeth element, dentures fill the gaps left by missing teeth as well as helping facial and jaw muscles function. There are partial dentures that only cover part of the mouth and are usually held in position with clasps that hold onto the remaining natural teeth. While dentures might take a while getting used to, they feel more natural. Dentures require routine care and cleaning to ensure that they remain moist and clean. Due to changes in facial and bone structure, dentures need to be replaced every 7-15 years. This is also because of wear and tear. Also, they require routine adjustments by a dentist and often need to be held in place using adhesives. Another problem with this tooth replacement option is that some patients experience a clicking noise when chewing food, which can be very embarrassing. These are permanent solutions for missing teeth. Usually, a dental implant is not removable and is made of titanium which is fully compatible with the human body. The procedure is painless and involves implanting a small titanium rod in your jawbone to replace the root part of the missing tooth. This implant will act as a natural root and therefore help preserve the jawbone from bone loss and deterioration that would happen otherwise. Once the implant is placed into the jaw, the dentist will connect the replacement tooth permanently to the dental implant. The result is a natural-looking tooth that looks and functions like a real tooth. Just like natural teeth, care and cleaning of dental implants are imperative. You should brush and floss them daily to keep them in the best shape possible. Although dental implants are more expensive than dentures, they are long-lasting, more comfortable and aesthetically pleasing. The great thing about cosmetic dentistry is that it is always within reach whenever you need a healthy, beautiful smile. Thanks to advances in dental technology, you can improve your oral hygiene and make your smile look even better. Here are some of the most popular cosmetic dentistry treatments to help you regain your confidence. 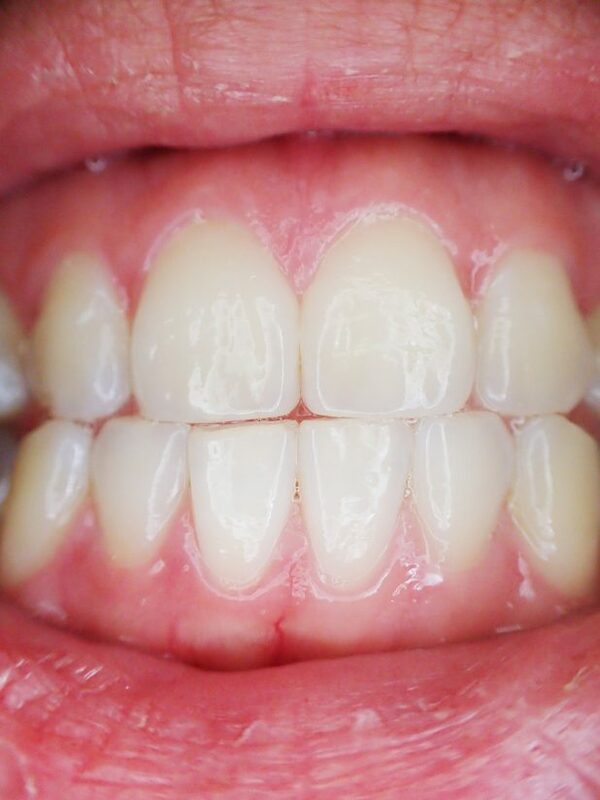 If you have a chipped or broken tooth, its appearance can be corrected with composite bonding. The dentist applies the composite material in the tooth’s cavity before it is sculpted into shape. The result is a healthy, bright smile with a newly covered tooth that blends with the surrounding teeth. This surgical procedure involves making a hole into your gums and planting a crown made of titanium. People with missing tooth/teeth will need to consider this option. The dental implant is placed into the jawbone and provides sturdy support as a permanent tooth. Porcelain veneers are adhesively bonded to the tooth in order to cover the cracks or worn appearance. This procedure is especially recommended for people with discoloured teeth or those with gaps between their teeth. Although porcelain veneers are somewhat costlier than many other cosmetic procedures, they are nonetheless the most popular treatment. For a complete smile makeover, your dentist may recommend a full mouth re-construction to correct your bite and bone structure. The advanced materials used in this procedure make it possible for your dental professional to provide you with the most durable treatment that looks and feels natural. Tooth whitening is performed in the dentist’s office and can be completed within two visits. The dentist may use tray bleaching or laser whitening. The first option is based on your individual needs and can take several visits in order to get the best result. In this procedure, the dentist uses a custom-fit tray to minimise the whitening gel’s contact with the gums. The laser whitening option is somewhat less invasive as a protective gel is used to cover the gum tissue. Once the ultra-violet laser light is activated, the bleaching agent starts setting in the tooth. You will normally be required to attend several appointments. This popular cosmetic treatment is an alternative to braces as it is invisible to the eye. Most people who have misaligned teeth tend to opt for this tooth aligner as it allows them to straighten their teeth without undermining their appearance. Invisalign braces are suitable for both children and adults and work effectively in the gradual straightening of their teeth. Botox treatment and dermal fillers have similar goals at the end of the day. They are an anti-aging treatment, which are mostly used for the face. But, they are not interchangeable. In fact, these treatments are drastically different from one another. Here is a quick overview of the primary differences between these anti-aging treatments. Let’s explore them so that they can help you to make a better decision. Botox is a neurotoxin, which acts as a muscle relaxer. So, this treatment is used on forehead, frown lines, crow’s feet, necklines and other wrinkles. It relaxes the muscles and softens the wrinkles temporarily. On the other hand, dermal fillers replace the collagen lost in the aging process. It fills the sagging skin and plumps it back to youthful and elegant contours. Due to stimulation of the collagen, it increases the volume of skin and restores its youthful smoothness. The ideal treatment is recommended based on the desired result. Some need to relax the wrinkles while others need to plump the skin. Botox treatment is in the form of injections. These injections, which are relatively painless, have no or little bruising after the procedure. Most people can resume their normal activities immediately. The dermal fillers procedure is different. You will receive a topical anesthetic to elevate the pain. Then, you will receive a series of injections. It is an outpatient surgery and does not necessitate an overnight stay. But it may cause some bruising and redness. So, rest and follow-up will be essential for full recovery and optimal result. Botox treatment is a relatively effective but temporary solution. Its results are visible within 3 to 5 days of the treatment, and it can last anywhere from 3 to 6 months. But, initial redness or bruising is a common part of the dermal fillers treatment. That can last for 7 to 10 days. However, dermal fillers remain effective for six months to 2 years. Botox or fillers, which should help you choose? Dermal fillers are more suitable for individuals wanting to get rid of lines and creases that are not too deep or reduce the appearance of other facial skin imperfections, such as scars from acne spots. These are also very popular for non-surgically filling in dips and depressions on the nose bridge. Fillers also can be used for plumping up lips that are asymmetrical, or to give one more of a pout. There are many different types of dermal fillers on the market, each with its particular benefits and shortcomings. Botox is the choice of discerning men and women who are trying to eliminate facial lines and wrinkles that are more apparent than minor creases in the skin. Your cosmetic doctor will assess whether you need Botox or dermal fillers for you. The choice of which one to use is dependent on the positioning, severity, and depth of your wrinkles. As a general rule of thumb, the wrinkles around and between your eyes and on your forehead are usually treated with Botox. Folds around your mouth and chin are often treated by dermal fillers. Are your teeth dull, stained and not looking so white anymore? Have you ever thought about whitening your teeth, either using a DIY product or at your dentist’s office? You’re not alone. Teeth whitening is the number one recommended cosmetic service at dentists’ offices today, and its popularity continues to rise. A whiter, brighter smile can improve your self-esteem and self-confidence, and eliminate your inhibitions about flashing your smile. These days, there seem to be all sorts of options when it comes to teeth whitening. Store shelves are loaded with whitening toothpaste, strips, and rinses, providing all sorts of do-it-yourself teeth whitening remedies. However, there is simply no match to the benefits that professional teeth whitening provides over DIY options. Skilled dentists have the experience, knowledge, and state-of-the-art whitening products and techniques that can leave you with a much brighter smile in as little as one visit. Here are some reasons why you should trust your teeth whitening to a professional dentist. One of the reasons why people choose to have their teeth whitened by a professional dentist is because of how quickly they can achieve their desired results. Many people simply give up on the whitening strips they find at the store because they just take so long to provide the desired results. Most of these kits take a minimum of two to four weeks before you notice any difference in the colour of your teeth. When patience runs out, a professional treatment or two at the dentist’s office is a much better option. With professional products and techniques, you can have a much whiter smile in as little as one hour! Dentists have access to strong teeth whitening products that are much more effective at whitening than typical products sold in drug stores. The concentration of hydrogen peroxide in products sold at the pharmacy is typically only 3 percent, while the concentration of peroxide in products used by dentists can be as high as 35 percent, providing you with quicker, whiter results. Dentists’ products are far more potent that anything you’ll ever find in stores, and can provide you with much whiter results. While DIY store-bought products may be able to provide you with minimal whitening results, they are nowhere near strong enough to tackle deeper stains and discoloration on your teeth. These store-bought products simply don’t have the potency to handle more severe discoloration cases. Your greatest bet under these conditions is to have your teeth professionally treated by a dentist who has access to the teeth whitening products and techniques necessary to eliminate severe staining and provide you with a dramatically whiter smile in no time. When you attempt whitening your teeth on your own using a product purchased at the pharmacy, you risk faulty application which can lead to gum and tooth sensitivity. The bleach used in teeth whitening kits and products is very strong, and if it is not applied properly, your teeth can become more sensitive to hot and cold foods and beverages. Whether the bleach was allowed to come in contact with the gums or tongue, or the product was left on too long, these mistakes can lead to problems. Instead, a professional dentist has the experience necessary to apply a whitening bleach precisely on your teeth, and supervise the entire process to ensure that it is not left on for longer than necessary. A dentist can offer you a more pleasant, hassle-free teeth whitening experience! 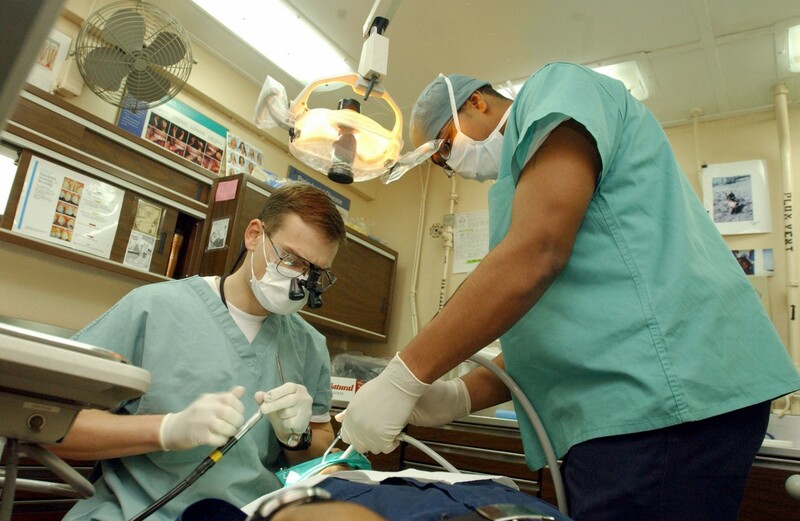 Which Dental Procedures Are Not Available From The NHS? While many services, such as crowns, root canals and fillings are available on the NHS, many other services are not. The majority of these procedures fall under the realm of ‘cosmetic dentistry’; dental work to improve the appearance or comfort of your teeth and gums rather than an essential service for their health. Cosmetic dentistry includes procedures like dental implants, veneers and teeth whitening that are all available from your dentist. Read on to find out more about these additional services that your dentist can provide. A dental implant is the most permanent and long term solution to replace a lost or broken tooth, and is considered a significant improvement on the typical denture solution. Consisting of a titanium rod, a support collar and a crown, implants can be used to replace both single teeth and multiple adjacent teeth within a single fixture. Initially the titanium rod is inserted into a prepared socket in the bone until it becomes fixed (a process known as osseointegration) before the support collar and crown are attached later on. Once the dental implant is in place and is fully integrated within the jaw bone it will function exactly as a normal tooth would. Veneers can be used for several reasons in cosmetic dentistry; either to cover up stained or cracked teeth, or to correct the size of inter-dental gaps. They provide an excellent finish to the external surface of teeth and comfortably hide from view any aspect of your teeth that you’d rather not see. The procedure for veneers can vary slightly but typically involves shaving away a layer of tooth equal in thickness to the veneer that will then be applied. The veneer is then fixed in place on the shaved surface of the tooth using dental cement. Teeth whitening is an extremely popular dental procedure, probably because it can quickly lead to a significant improvement in teeth appearance. Teeth whitening is particularly popular among those with dark or stained teeth but can be taken advantage of anyone who would like to brighten their smile. The procedure involves the application of a bleaching gel, followed by a specialised light source to accelerate the whitening. In addition to the services detailed above, private dental care offers the chance to take advantage of the latest and best advancements in oral care, with high quality treatments available for standard procedures like bridgework root canals and tooth restoration. 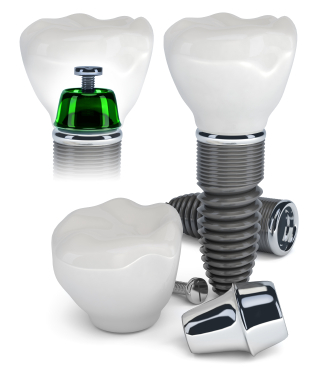 What is the difference between Dental Implants and Crowns? If you have had filings, decay or have suffered trauma and wish to improve the appearance of your smile, then there are several options that are available. Two options are those of crowns and dental implants. So what is the difference between the two treatments? Below we explain why and when you should have a crown or dental implant. Crowns are often referred to as a cap and this perfectly describes their role. The crown acts as a cap to cover the tooth. The crown is made from strong acrylic and looks very much like a natural tooth. Crowns are used for a variety of reasons. When a tooth has suffered severe decay and there is not enough tooth left to bind a filling to it, then a crown is the next obvious choice. Another reason for using a crown include teeth that are discoloured, broken teeth due to trauma and uneven teeth. Crowns help to preserve the tooth that is left and look aesthetically pleasing. It is very important that good levels of oral hygiene are maintained when caring for a crown, as you need to preserve the tooth that is underneath the crown as well as the teeth that are situated either side. A dental implant is an artificial root that replaces the root of a natural tooth following decay or trauma, when the tooth needs to be removed. This is different to a crown, as the crown is simply the top part of the tooth that is visible in the mouth. An implant is the actual root that sits in the jawbone. Having a dental implant is more invasive than having a crown fitted, as the dental implant needs to be inserted into the jaw bone, where it will fuse and act as a natural tooth. This will then create a sturdy root and a solid foundation for a replacement crown, denture or bridge. Dental implants are the next best thing to having natural teeth. As they are secured firmly into the jaw, they will not move or rub the gums like dentures. So to summarise, a dental implant and crown have very different jobs to perform. The crown is used for cosmetic reasons and to preserve what is left of a natural tooth. Dental implants are used when there is no longer a viable tooth, due to injury, decay or trauma. The implant acts as a support for a false tooth that includes crowns, bridges and dentures. 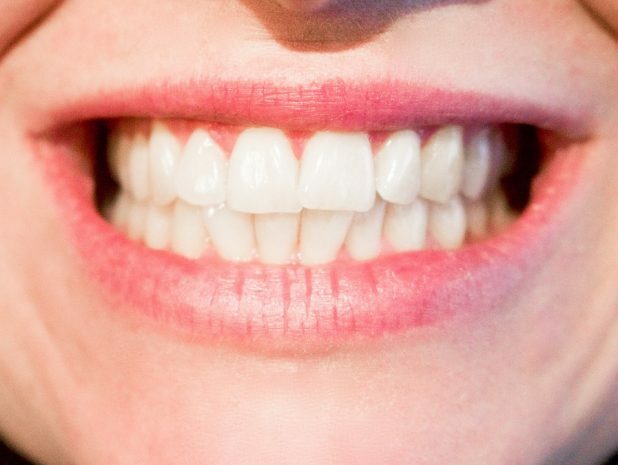 How are dental veneers done? The teeth play a significant role in everyone’s life. Many people are unhappy with their teeth, often as a result of damage and discolouration amongst other reasons. However, dental veneers can offer a solution to this problem as they can serve to end the discomfort or embarrassment felt by a person as result of their teeth. Dental veneers are a procedure that always uses resin-like materials which are much thinner than the natural tooth. Dental veneers act as a thin layer on top if the natural tooth and can cover a multitude of issues including discolouration, erosion, and even gaps by taking the form of a thin shell that covers the outer surface of one’s teeth. They therefore serve to bring back the natural or physical appearance of the teeth. For the procedure of dental veneers to be successful, an estimation of three trips to the dentist is required for the different stages and phases of placing the veneers successfully onto the tooth. This means that patients looking for a quick, one-day fix should not expect that if they want the procedure done properly. The process of the procedure is outlined below. It will be necessary to get check out by a dentist to determine whether dental veneers are the appropriate solution to the dental problem you are experiencing. The dentist will conduct an examination of the teeth after which they will ascertain whether dental veneers are the solutions to the problem. When this treatment has been agreed upon, the process of fitting veneers will be commenced. The tooth or teeth receiving the veneers is prepared for treatment by removing the enamel to create space for the new veneer. Normally, the process is painful, and anaesthetic is applied to numb the tooth or teeth. The results collected at this stage are then sent off for analysis in the lab while a temporary veneer is placed on the area from which the enamel has been removed. After the lab completes its study and a permanent veneer is received, the temporary veneer placed on the tooth is removed in readiness for the permanent veneer. The permanent veneer is then permanently bonded to the tooth and various adjustments are made to ensure that it is permanently fixed in the correct position. The process frequently involves polishing the edges to make sure that the tooth functions naturally and are then cleaned to perfection to give the patient the dazzling smile they ave always wanted. In the past, dentures were the only solution for anyone who had lost their teeth, but today there is another option – dental implants. There are advantages and disadvantages to both methods of replacing missing teeth, so which is the best choice? If you have lost one or more teeth due to decay or damage, dentures are a suitable replacement. Made from cast metal and acrylic, dentures have a plastic base and teeth made from strong porcelain. Dentures can last for several years and are hard-wearing, enabling the wearer to eat a full range of foods confidently. Dentures are also the best option for anyone who has weak or unhealthy jaws or gums as in those cases, implants are not suitable. Dentures are also a cheaper alternative to implants and require no surgery. Some people who wear dentures find that they slip or move out of place or make clicking sounds while speaking or eating which can be uncomfortable and embarrassing. Over time, dentures also have to re-aligned as the structure of the jaw and gums changes as part of the natural ageing process and there may also be an increased risk of decay in other adjoining teeth if the dentures are only partial. Some denture wearers also experience discomfort due to rubbing as the dentures move out of place. Dental implants are a durable and secure alternative to dentures. Made from metal and titanium, they are compatible with the body, being drilled into the jaw bone. A dental implant is much more stable than a denture as it is fitted into the bone in the same way as a natural tooth’s root. This allows the wearer to chew and speak efficiently with no slippage. Implants look much more realistic than dentures and there is none of the discomfort that many denture wearers experience. The process to fit an implant takes up to 8 months as it must fuse with the bone before the prosthetic teeth can be fixed in place. There is also a higher cost for implants and they may not be suitable for those who are known to grind their teeth during the night. Also, anyone who is afraid of undergoing surgery may wish to avoid having implants as an operation is required to fit the implant into the jaw bone. Overall, although there are some disadvantages to choosing implants, for anyone who is looking for a stable, effective and natural looking way to replace their missing teeth, they are the perfect solution. I'm Peter and I'm a dental assistant here in the UK. Welcome to my blog, where we discuss various aspects of dentistry, including the latest in cosmetic dental technology. If you have any questions or would just like to say hello please get in touch!